EFF is asking for your help. I contacted EFF couple of times, and it was obvious from their replies that they would love to help extortion victims, but their resources are limited amid unprecedented flood of copyright law abusers. Not feeding a troll is a right decision, but helping to starve it to extinction by donating to EFF is simply noble. The following is from EFF’s DeepLinks blog. Over the past two weeks, EFF has won the dismissal of two bogus infringement lawsuits filed by notorious “copyright troll” Righthaven LLC. In the first case, a federal judge ruled that Righthaven had no standing to sue an online political forum for a five-sentence excerpt of a news story posted by a user, because EFF sleuthing revealed that Righthaven did not own the copyright. Last week, the court relied on the evidence presented in the first case and dismissed Righthaven’s lawsuit against a non-commercial blog that provides prosecutor resources for difficult to prosecute “no body” homicide cases. EFF’s hard work has provided the facts and precedents needed to dismiss even more lawsuits. 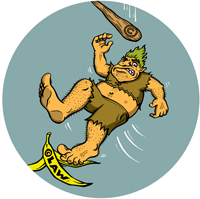 Please support EFF today, and help us topple a troll! If EFF has assisted you in any way – even just getting you straight information on the Trolls, please conside making some donation. I did! It is even tax deductable!